From chic, cereal-themed restaurants, to in-home cereal bars like this one, cold cereal is a hot item on menus everywhere. (COLUMBUS, Ohio) – A century and a half after cold breakfast cereal was invented, its popularity is hitting new heights in the United States. Cereal-themed restaurants have opened in several states including New York, Virginia and Texas, and a growing number of people are hosting cereal bar parties in their homes. Use whole grains as basic building blocks – Whole grain cereals, like toasted oats, multi-grain, bran and even a lightly sweetened whole grain cereals. Choose cereals that pair well with a variety of spices, fruits and natural sweeteners. 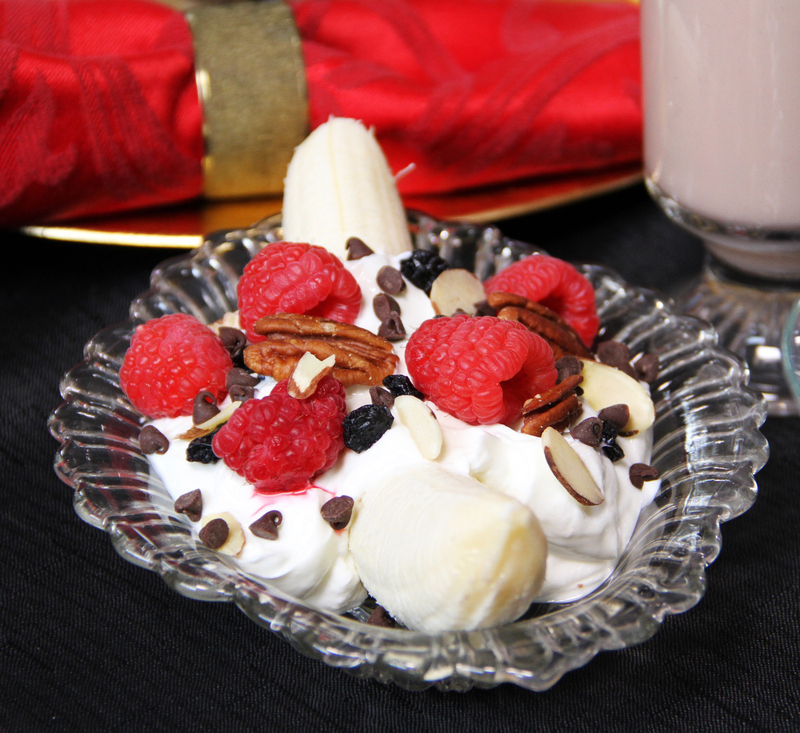 Use a variety of milks and yogurt – Cold cereal and low-fat milk are a classic combination, but think outside the bowl! 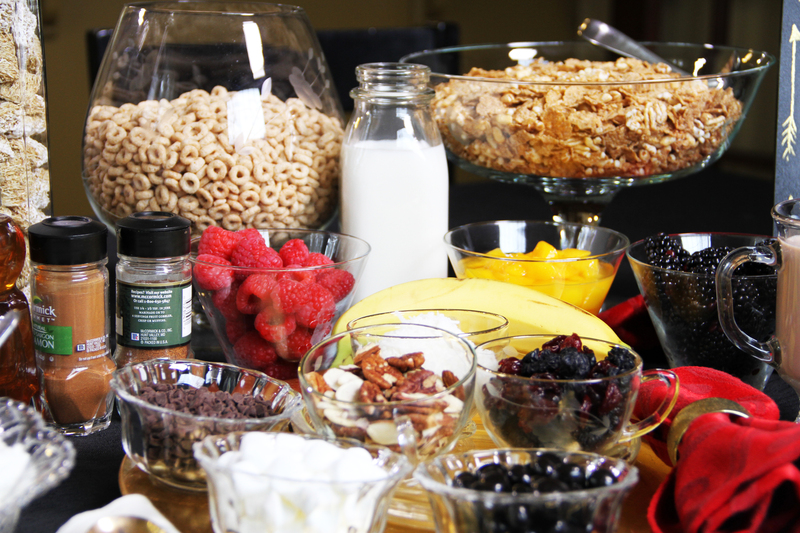 Offer flavored milks and yogurts or Greek yogurt at your cereal bar to change things up. A popular dish with the kids is an upside down cereal bowl – in which they fill a glass bowl with cereal and toppings first, then top it off with yogurt. You can also make banana splits – by halving a banana, putting three dollops of low-fat, flavored yogurt in the middle, then sprinkling cereal on as a topping. Don’t cut out all the sweets – Whether you are serving children or adults, don’t do away with all the sweets. Instead, offer healthier, natural sweeteners, like pure maple syrup, coconut shavings or honey. Use a variety of bowls and dishes – Glass bowls are particularly fun for children, so they can see all the ingredients as they are added. But, you may also want to offer a wide variety of shapes and sizes. Some hosts use small juice glasses or sundae dishes so guests can make several smaller concoctions instead of one large one. Spice things up – Spices are often used in cereal bars created for adults. Offer your guests cinnamon, thyme, chili powder and mint. Sweet and spicy combinations make for a savory dish, so include items from your spice rack and see what your guests can create. For more ideas and cereal bar recipes, go to www.drink-milk.com. Though it`s been around for more than a century and a half, cold cereal has hit new highs in popularity, thanks to new cereal-themed restaurants and do-it-yourself, in-home cereal bars, like this one. Kym Greene of Galena, Ohio is one of a growing number of parents to host ``cereal parties`` for her kids and their friends. 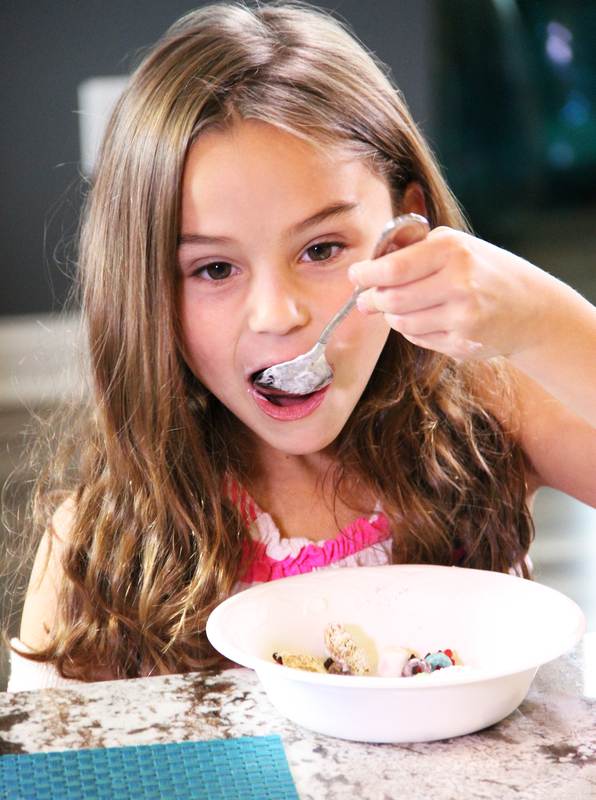 Madison Ziegler, 6, of Delaware, Ohio enjoys the concoction she created at a friend`s ``cereal party,`` a popular trend with parents. 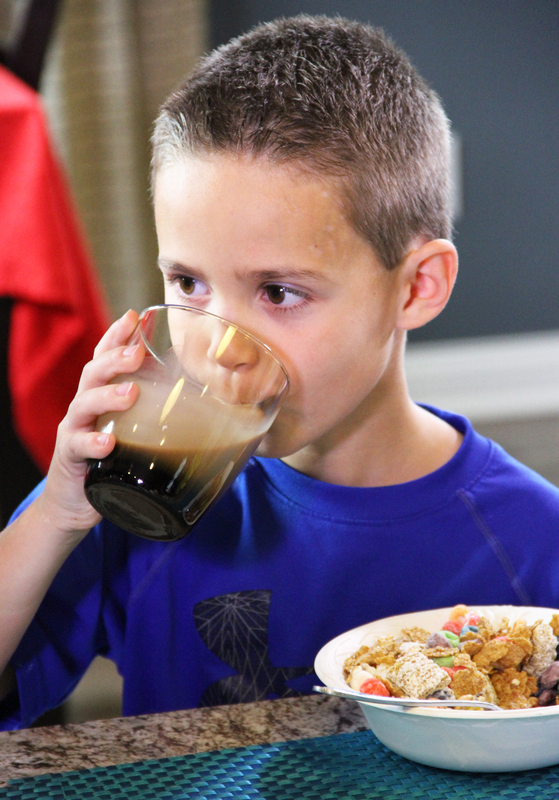 Collin Green, 6, of Galena, Ohio drinks chocolate milk at a ``cereal bar party``, he and his family recently hosted. 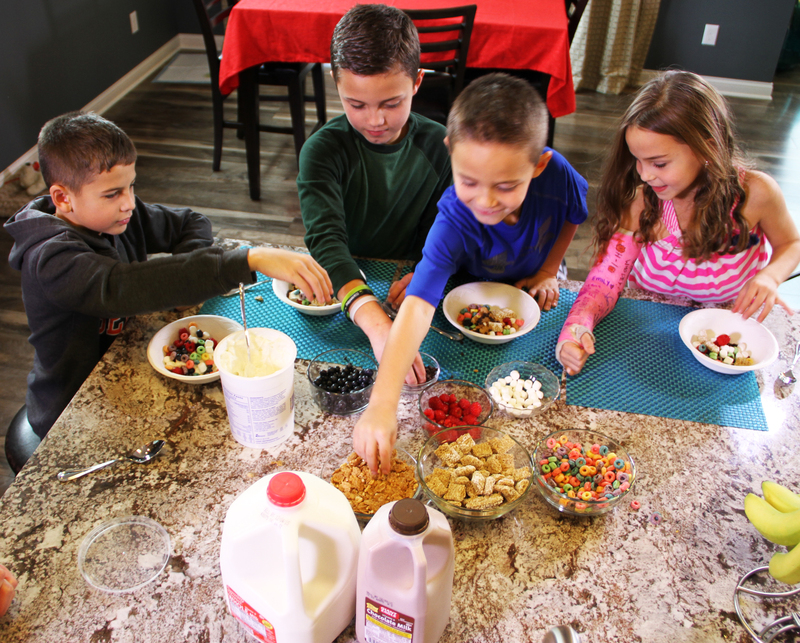 Children create their own concoctions at a cereal bar party recently in Galena, Ohio. Kym Greene enjoys a dish she created while recently hosting a ``cereal party`` at her home in Galena, Ohio. 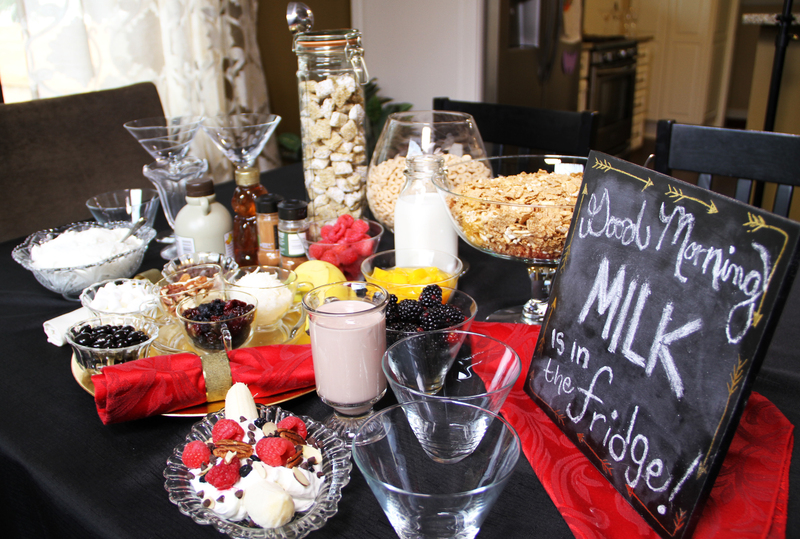 A hot trend in entertaining involves throwing ``cereal bar parties,`` at which cold cereals are offered with items like fruit, flavored milk and yogurt. Some recipes also call for herbs and spices like lemon rind, thyme, mint and even chili powder.